Last weekend at the mall some Girl Scouts forced me (by force me, I mean they were standing with a display table as I walked by, the Girl Scouts are pushy like that) to buy some cookies. 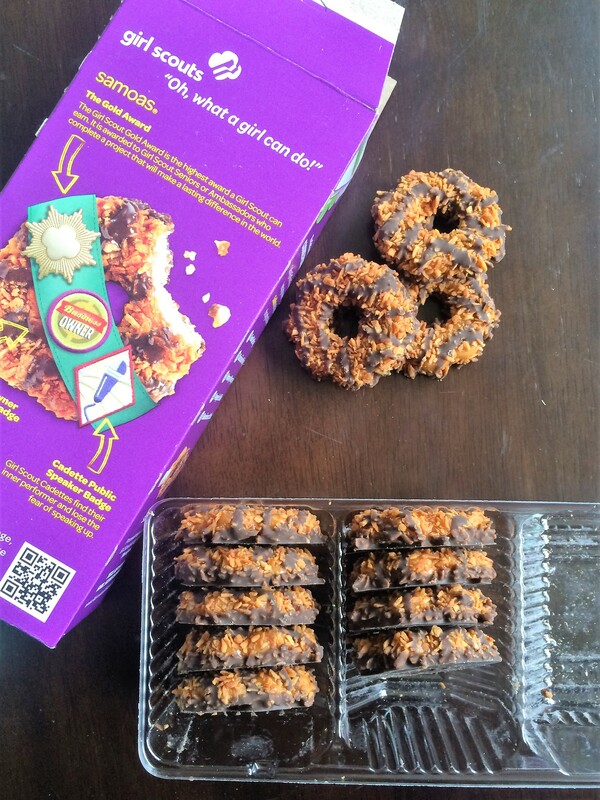 Obviously I chose a box of Samoas as they are clearly the most superior Girl Scout Cookie in existence, chocolate, coconut, caramel, honestly, what more could you want? After eating an entire row of cookies on my way I home I decided I should make something with them rather than eating the remaining cookies as my dinner. 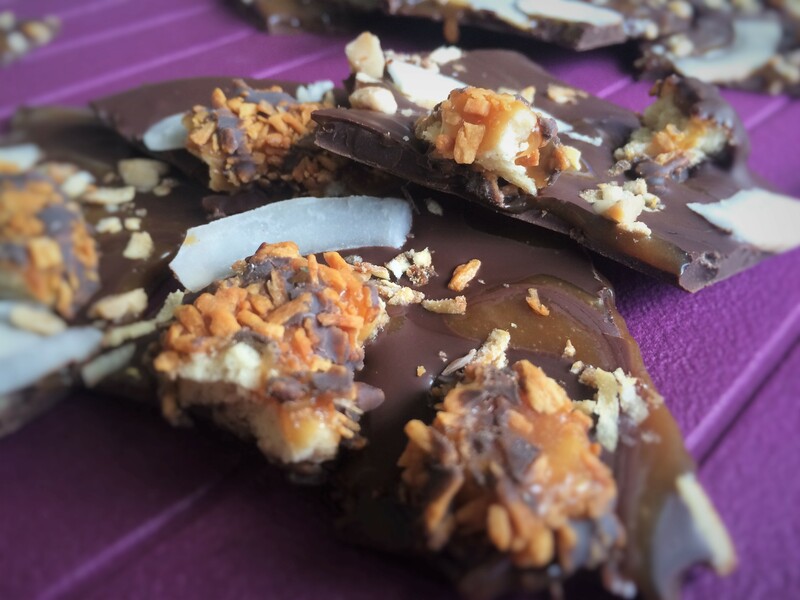 I ended up deciding on a chocolate bark with lots of toppings, and if I do say so myself, it’s sooooo good! 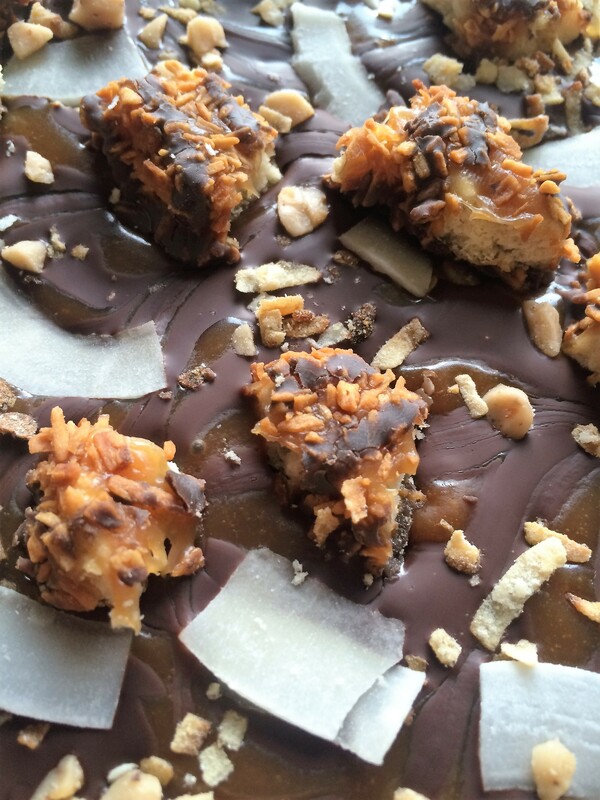 I combined chocolate, salted caramel, toasted coconut, coconut chips, toffee bits, and of course Samoas! 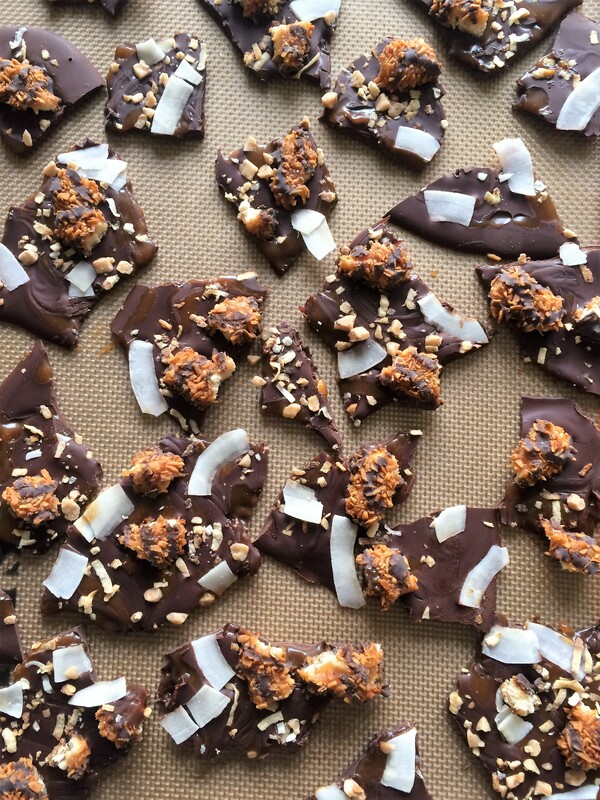 I love making bark because it’s so easy and you can really add whatever you’re craving at the moment or whatever you have on hand. This bark is a delicious combo of flavors and textures, rich, sweet, salty, melty, smooth, crunchy, pretty much everything delicious in life. 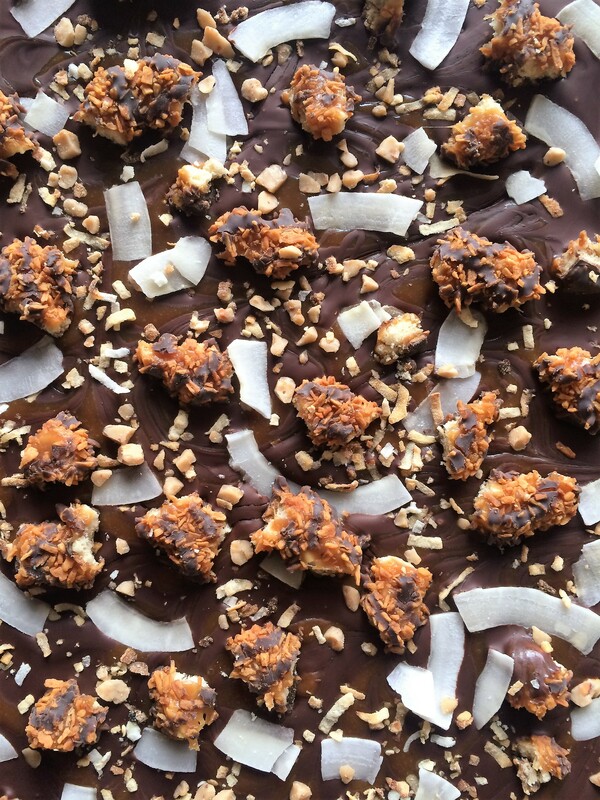 So go find yourself some Girl Scouts, buy some cookies, and make this bark! 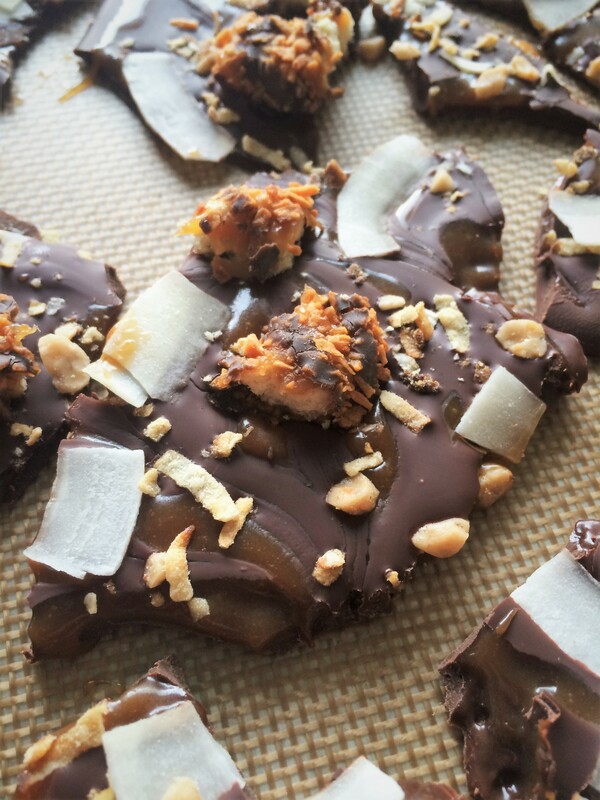 A delicious chocolate bark with Girl Scout cookies, salted caramel swirl, sweet coconut, and crunchy toffee bits!